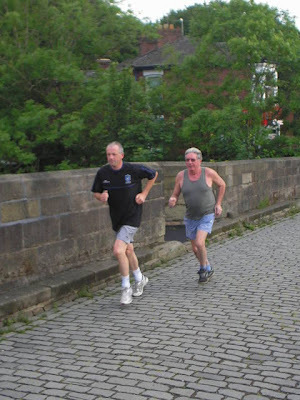 Broadgate resident Richard Merrick is entering the ‘Run Preston’ 10k Race as a ‘Save The Ribble’ Runner, to oppose the Riverworks Barrage and housing scheme, and to raise awareness of the beauty and importance of the River Ribble. 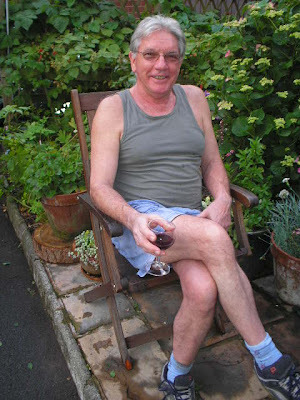 I went to interview Richard, and to photograph him getting ready for the event with a training session. 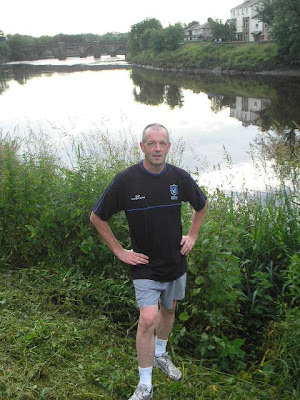 “I love running by the Ribble, every time you run by it, you see something different, it has so many moods and so much to offer. Sometimes the tide is in and the sun reflects beautifully off the rippling waters, and sometimes while you run you can see the birds feeding on the exposed mud banks“. Richard has been a Broadgate resident for 17 years “It annoys me that a bunch of property developers and politicians can come along, without consulting local people at all, and propose something that could drastically change our area, and add to the flood risk for local housing”. 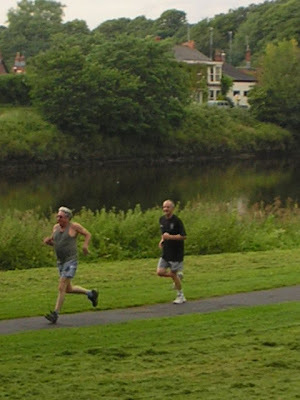 “People use the river for all kinds of things, I run past walkers, cyclists, anglers and horse riders. I also coach a local kids football team, who often play at Vernon’s, an area under threat of being built over with loads of houses as part of the Riverwork’s proposals. Where will the kids play football then? 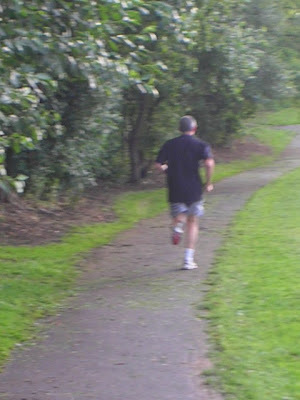 Preston is a football town, and we need to make sure our kids have a chance to get regular healthy activity, or we’ll have even more obese youngsters growing up in Preston - but the needs of local kids seem to go out of the window when developers sniff the chance to make a big profit”. Helping Richard prepare for the event was his Father in Law, International Tropical Ecologist Dr Robert Murtland. Dr Murtland has extensive experience as an ecologist, beginning in 1965 when he was part of the Lancashire County Council team that did the initial survey on the Trough of Bowland. Since then he has worked all over the world on ecological and forestry projects, in countries as diverse as Sri Lanka, Yemen, Kenya, Serbia Montenegro and Pakistan, where he was involved in a scheme to mitigate siltation occurring behind the Indus dam. 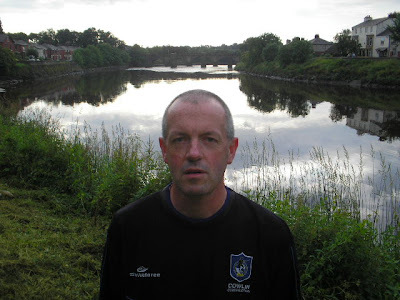 Recently he has been giving Induction training to the Irish Government’s Rapid Reaction Force, people who will intervene at very short notice in ecological catastrophes like floods, Tsunami’s or the aftermath of war. 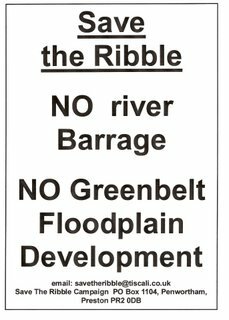 Dr Murtland said “Any barrage across the Ribble would be plagued with problems, in particular it would raise the water table underneath surrounding land - including areas that are currently occupied by housing. There is no doubt that it would be a barrier to migratory fish such as the Atlantic Salmon, and it would also suffer from heavy silt deposition behind the barrage - just like the Indus, which is another river that carries a heavy load of silt. 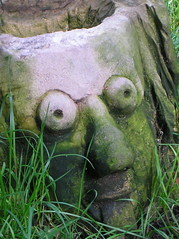 Obviously that is silt that ought to be getting down to the River Estuary where so much bird life depends on it. 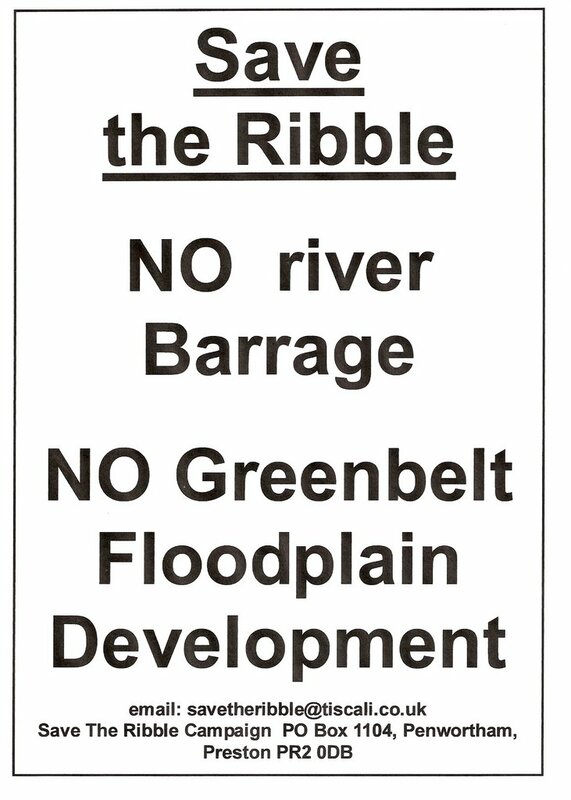 There will also be problems of water quality, due to the build up of nitrates and phosphates in the water behind the barrage, causing the production of blue green algae which will reduce the oxygenation of the water”. The race will take place on Saturday 8th July 2007, the 10km race starts at 10am, and last year it attracted over 1300 people to run through the City’s streets. 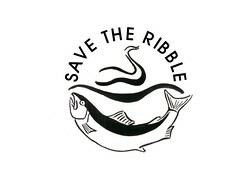 We hope many supporters of ‘Save The Ribble’ will turn out to cheer Richard on to a great time.